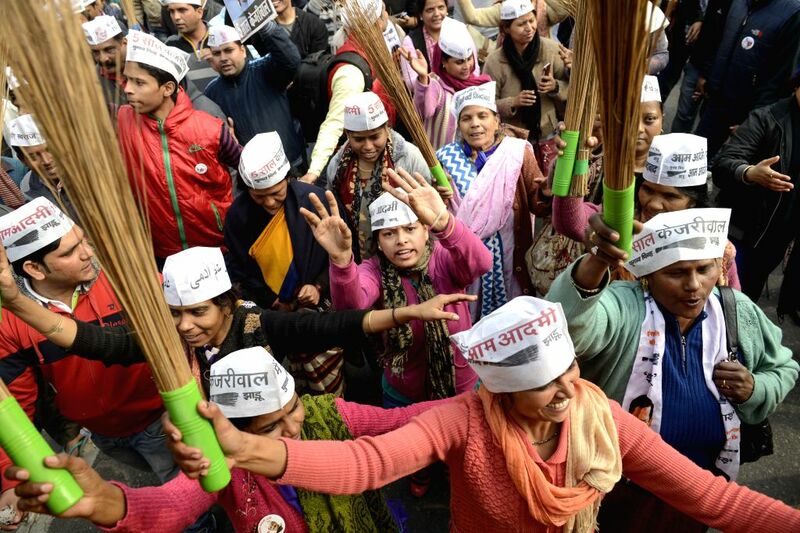 New Delhi: Aam Aadmi Party (AAP) supporters participate in Arvind Kejriwal's roadshow in New Delhi, on Jan 20, 2015. 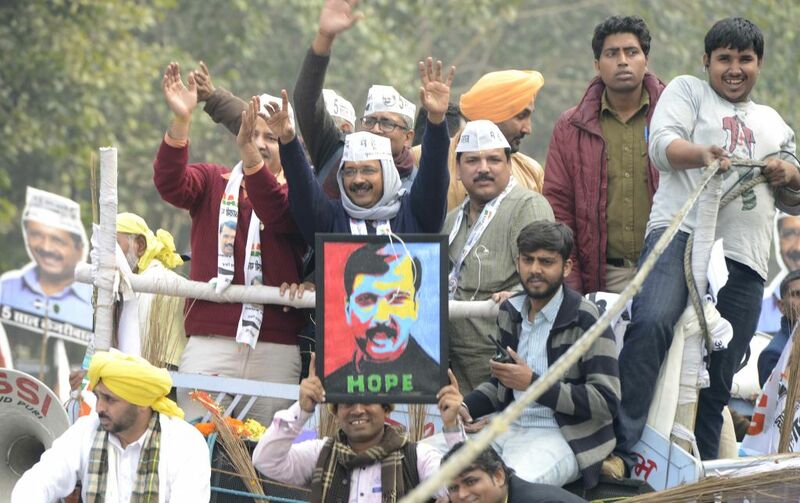 Aam Aadmi Party (AAP) leader Arvind Kejriwal during a roadshow ahead of filing his nominations papers for upcoming Delhi Assembly polls in New Delhi, on Jan 20, 2015. 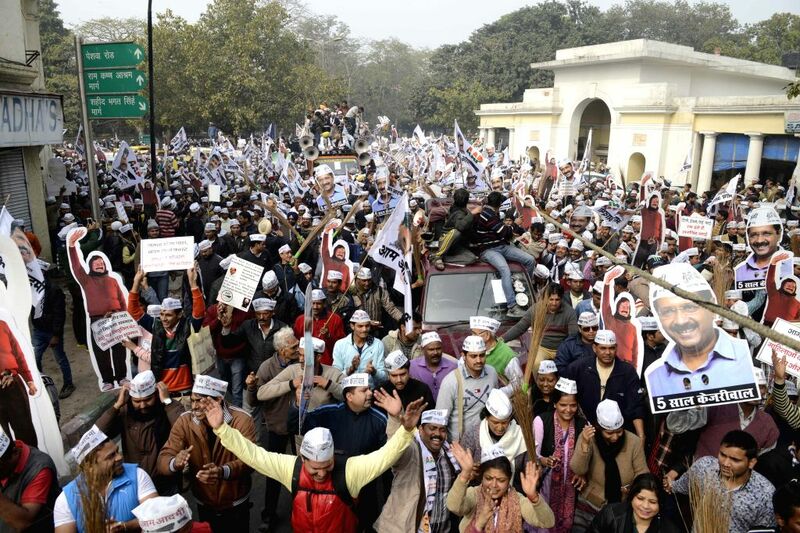 Also seen party leaders Manish Sisodia, Ashutosh and Sanjay Singh.